Even more international. Even more strategic. Able to organise the ideal trade fair experience for comparing and sharing ideas in a market that is observing signs of a promising recovery at a global level, and is seeking solid confirmation. Exhibitors’ figures close to 1,300 and an increase in the number of represented countries. 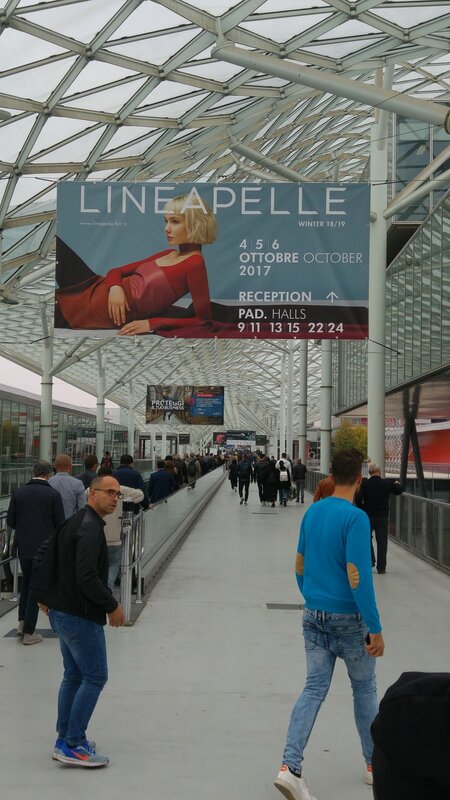 LINEAPELLE is holding its 93rd edition from 4 to 6 October, launching the style for Winter 2018/19 and consolidating its trade fair importance, as it increasingly becomes a central hub for a fashion industry confident of finding the best commercial deals and stylistic range available from tanning companies, accessory and component makers and natural and synthetic fabrics, at Fieramilano Rho. LINEAPELLE93 confirms and reinforces the growth trend of previous shows with a total of 1,285 exhibitors, 3.5% more than the comparable seasonal show in September 2016. But it also shows an increase compared with the February 2017 show (+7%). There is an increase in exhibitors from Italy (+4.5%) as well in those from abroad (+1%), coming from 48 countries, up from 44 a year ago. The exhibition area has expanded: over 47,500 square metres, +3.5% compared to September 2016. The numbers speak for themselves, unambiguously revealing the strength and appeal of LINEAPELLE at a global level and making it a key event of international importance in the leather industry, in terms both of business and stylistic developments. This leadership position has also been boosted by the development of its international network, in particular the previews: LINEAPELLE New York (next show: 31 January | 1 February 2018) and LINEAPELLE London (next show: 23 January), together with a presence at the main Asian fairs in Hong Kong, Tokyo, and Guangzhou. In an era when virtual networking and the social media determine the success of styles and brands, LINEAPELLE93 has again taken on the role of a genuine and concrete fashion influencer, developing a well-planned trends route for the Winter season 2018/2019, perfectly summed up in the word MAPS. Creative stimuli interact together to weave classic visions with bold and inventive ideas. The emotional value of the material is enhanced. The chromatic harmonies are constantly evolving. There is a wealth of ideas that, as with every show, can be examined in depth in the three Trend Areas, located in pavilions 13, 9 and 22, and during the exclusive seminars scheduled for the afternoons of 4 and 5 October. LINEAPELLE93’s fashion imprint is also made explicit in the video installation on display here in the show (that sees leather as a leitmotif running through the expert craftsmanship that produces shoes, bags and other leather articles).